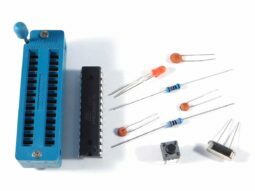 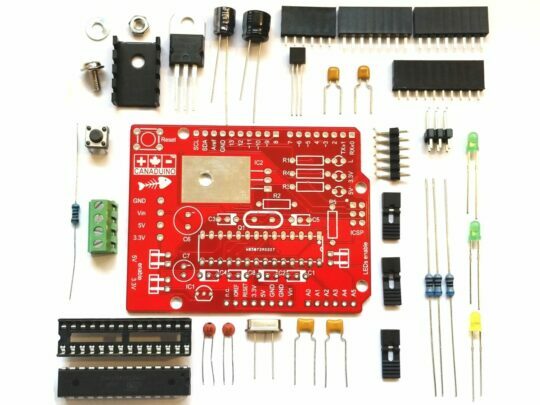 Categories: Arduino, Electronic DIY Kits. 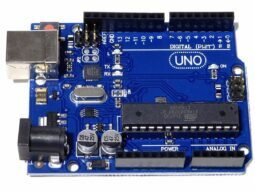 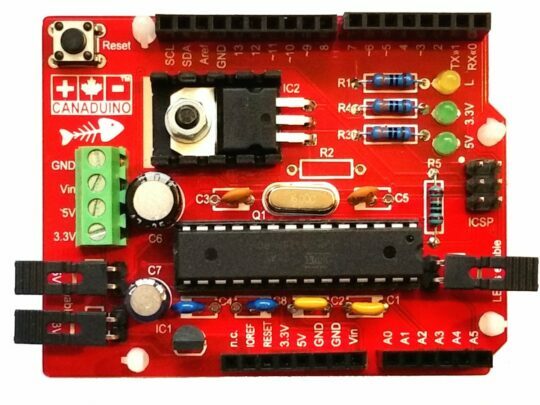 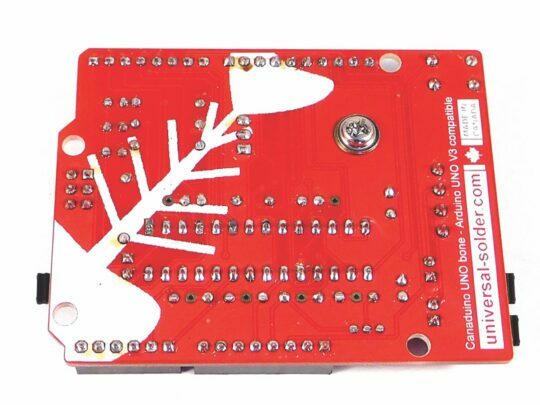 Canaduino Uno Bone “Maxxx” advanced Arduino Uno R3, the ultimate Arduino Uno compatible DIY kit. 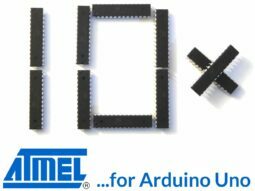 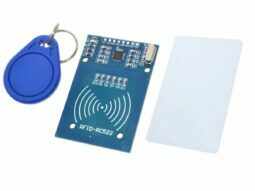 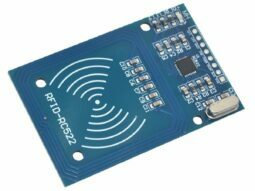 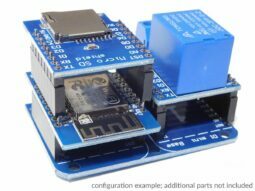 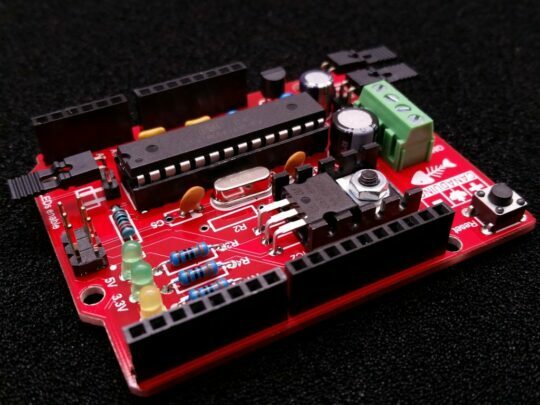 The smarter replacement for Arduino Uno boards in a permanent installation. 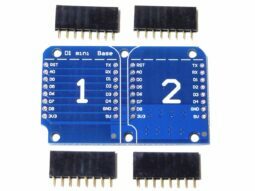 – 5 times stronger 3.3V voltage controller for sensors, level converters, memory cards etc. 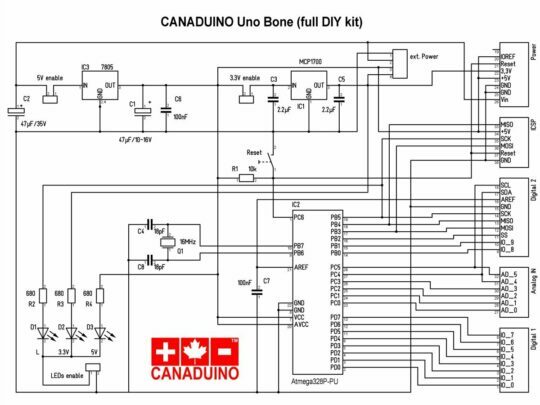 NOTE: The “Bone” comes without USB interface. 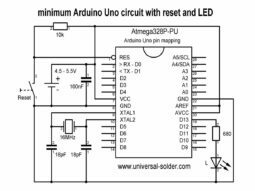 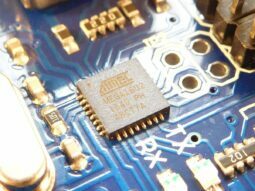 You need an Arduino Uno, Atmega programmer or ISP programmer to download your sketch into the processor. 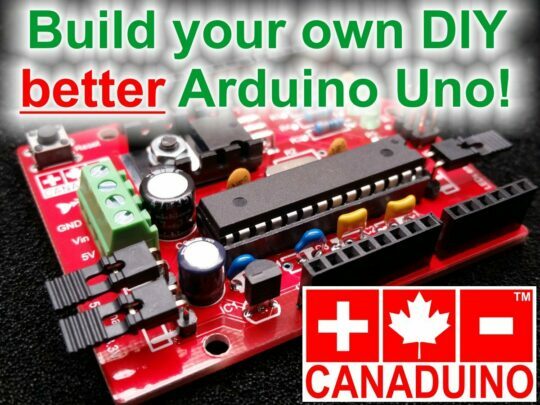 Download data sheet / instructions HERE.